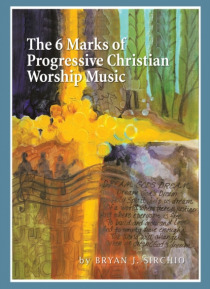 Something about the lyrics of many of the hit contemporary Christian worship songs is at best problematic for many clergy persons in mainline denominations. Sometimes the songs are downright offensive theologically to the pastor. Often the problem is rooted in a theological nuance or doctrine that the pastor does not embrace. Sometimes these contemporary worship songs use too many Christian buz… z words or clichswords or phrases that the pastor deliberately avoids in every other aspect of the liturgy. Often the problem is that the new songs show no sensitivity at all to things like inclusive language or the theological challenges of doctrines like penal substitutionary atonement. Sometimes the pastors feel that most of these new songs lack substance, that theyre too sugary, too individualistic, and too other-worldly. Sometimes theres an emotional tone to this contemporary worship music that might work well in another kind of church but which just doesnt feel authentic in a traditional or mainline congregation. Now I would imagine that at least some of you began to glaze over a bit as you attempted to read those last few paragraphs. Or maybe you didnt fully understand some of the terms I just used. If so, dont worrythats why I wrote this book! If you have no idea what things like penal substitutionary atonement or inclusive language are about, this book will help you understand what these terms mean and why its important to your pastors for you to know your way around these issues and concepts a bit as you seek new songs to bring into the worship life of your congregation. And I promise--Ill do my best to use down-to-earth language that youll be able to easily understand without a seminary education!